Your Online Food Court: Barbecue on a shoestring ! Cook Dammit Series : Barbecue on a shoestring ! All you need to have a good barbecue going is lit coals. Nothing else ! 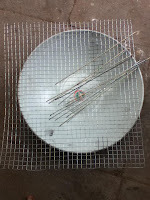 A few skewers, a steel mesh and a container to hold coals might help, but not really essential ! Lighting coals is the only thing you need to learn ! FYI, mankind mastered fire eons back ! Veggies/ meat can be grilled directly over live coals or stuck in skewers and placed over a steel mesh ( Rs.50 ), available at hardware. 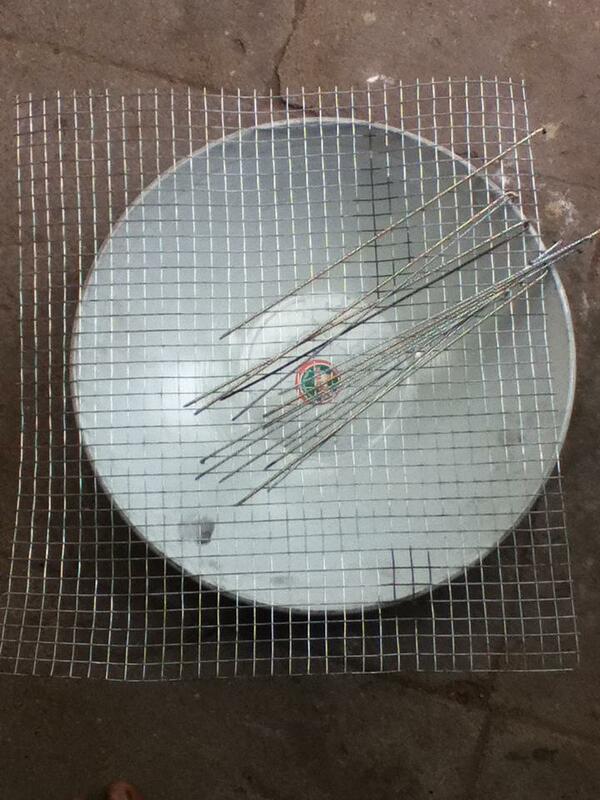 For skewers, any slim stick would do or you can buy cycle spokes ( Rs.3) and sharpen one end by rubbing it on the floor. Almost anything - veg / meats, marinated / raw tastes delicious barbecued. Marinate it for an extra burst of flavor & baste it with butter / oil / ghee while grilling and it goes off the charts. Try it out at home - it is simpler than you think ! Or come over to the beach cookout and check it out. That's the crude way, so dear to me. You can of course choose the much more refined & sophisticated way by buying a fancy grill, charcoal briquettes, lighter fluid, fancy skewers, and keep them unused at home for years, and try them one day and, run around pleading with people to help you light a fire and crib because the host was delayed a bit ! whatever way you choose, start barbecuing - it is addictive !